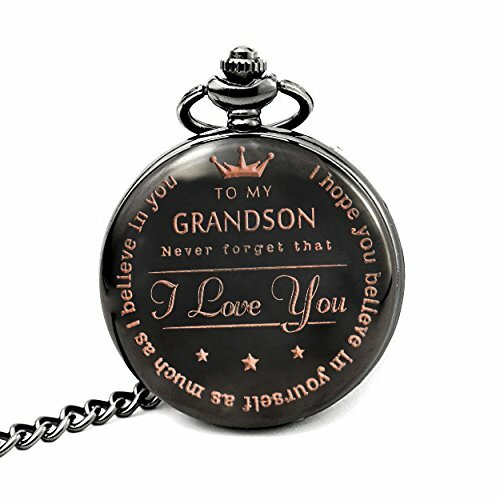 Engraved Pocket watch gift idea features the words " To my Grandson,i love you ." The best present for Grandson : Makes a great birthday gift, valentines day gift, day gift,christmas gift. If you have any questions about this product by Mainbead, contact us by completing and submitting the form below. If you are looking for a specif part number, please include it with your message.